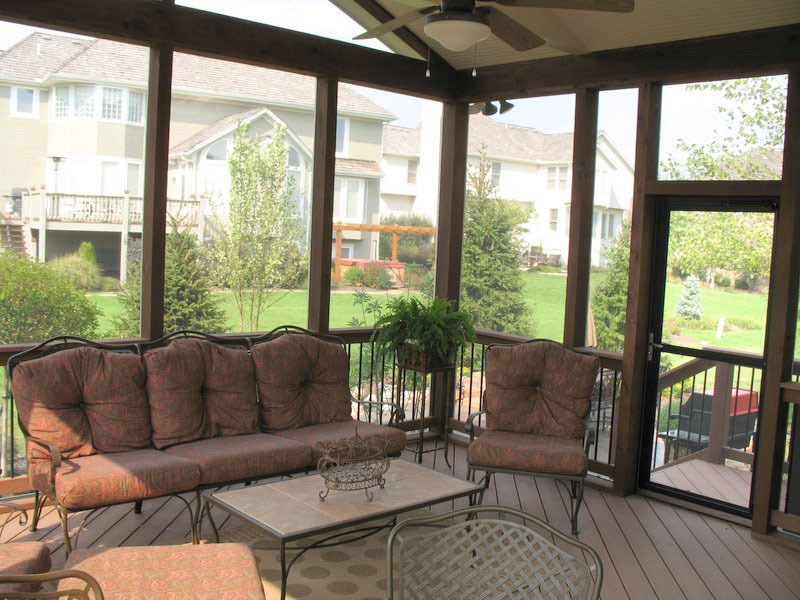 One of the first questions people ask when they’re considering adding a porch to their house is to what degree we can make it look original to their home. 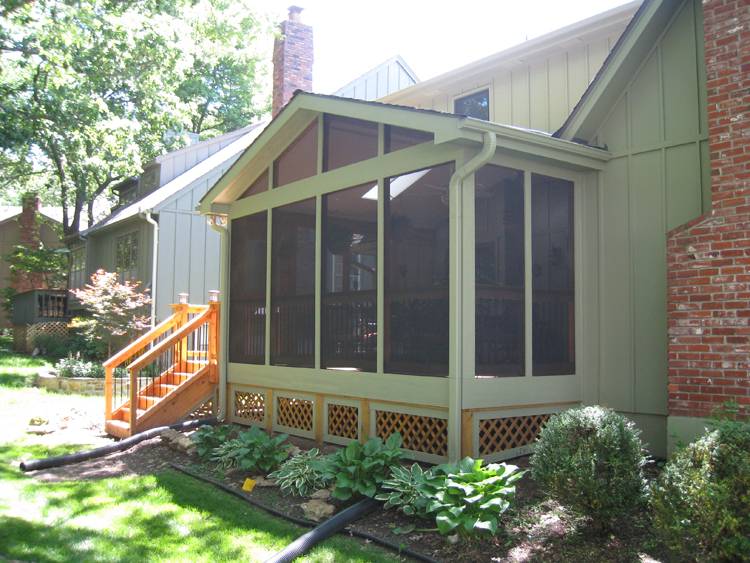 Nobody wants a new porch that looks “added on” or an addition that looks like a sore thumb. 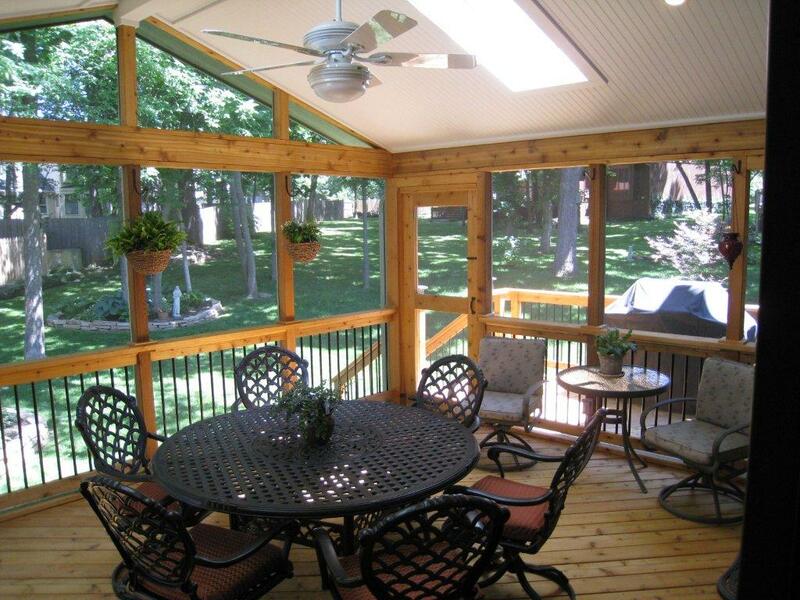 Here are the top 5 ways to make your new porch look original to your home. 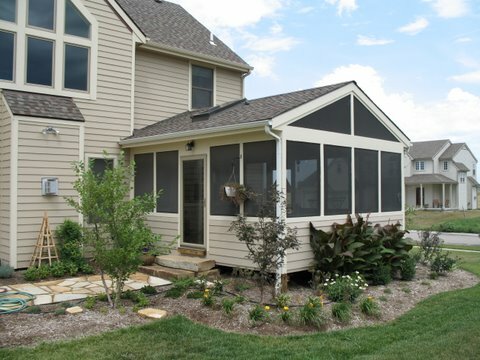 Using the correct roof style to match or complement your home is one of the biggest factors in determining the degree to which your porch will look like it was built with your house. 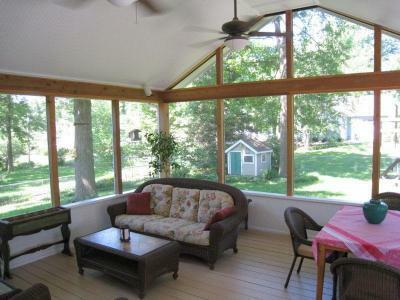 If you close your eyes and envision a typical porch, a rectangular (gable) roof or perhaps a flat roof may come to mind. But, one shape certainly does not fit all. 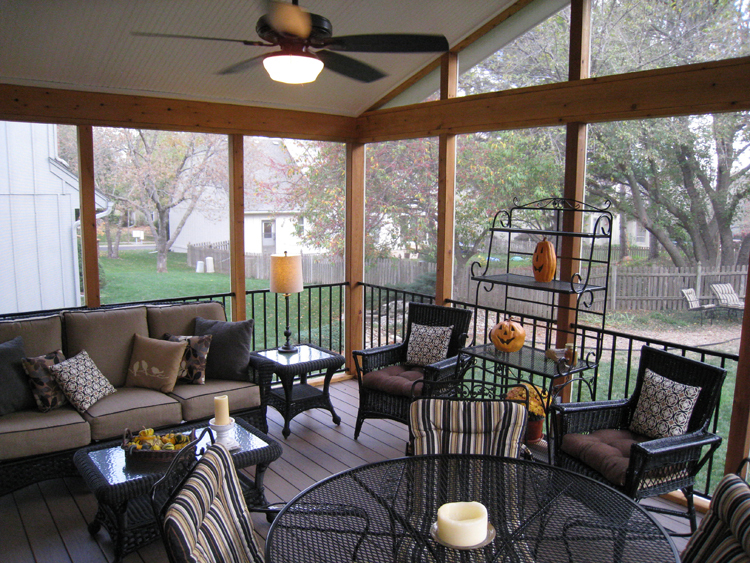 There are many factors that help determine which roof is best for your new porch. 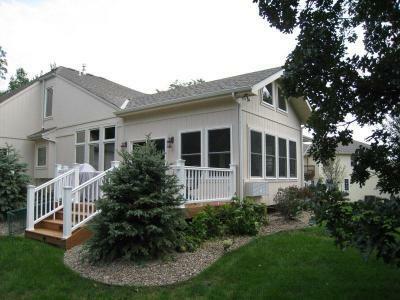 One of these factors is matching or complimenting the other roof lines of your house. Your house may have a gable roof or a hip or shed roof. Likely your house has a couple different roof lines. 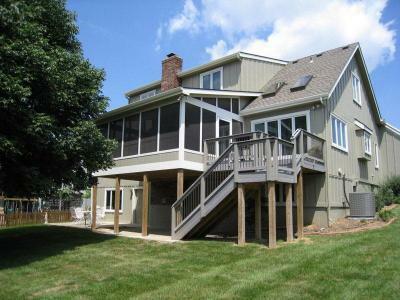 But other factors come into play such as the placement of second story windows where you want to build your porch. 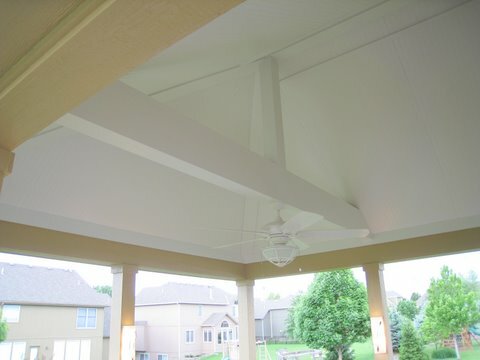 Other roof factors we consider when designing your porch roof are the pitch, soffits and overhang. All of these factors affect the look. We work to match or complement each of these elements. 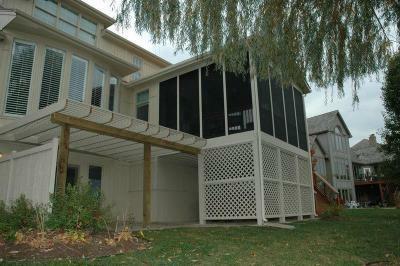 If the new porch is too big or too small or the proportions don’t fit to back yard and to house, it is going to look odd. 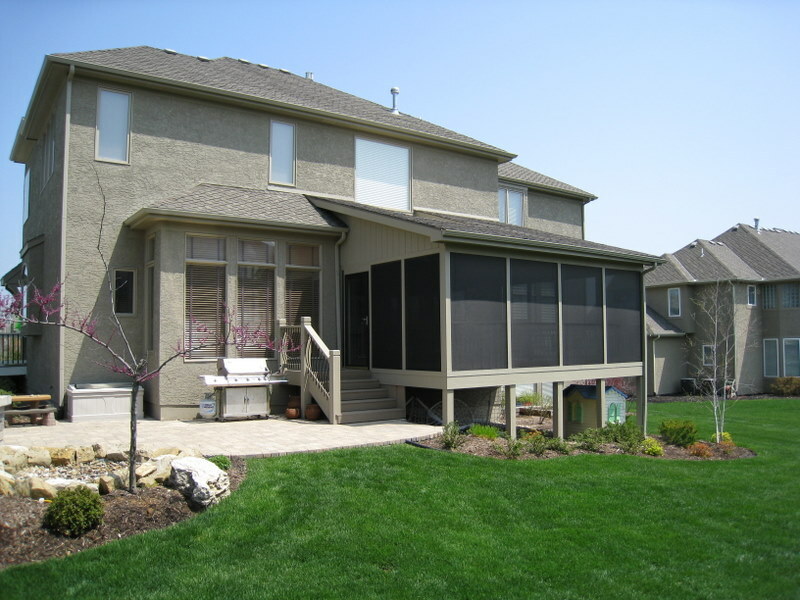 Other factors include the size of your house, the size of your yard, and the relative proportions of the space available to work in and how the porch will be used. 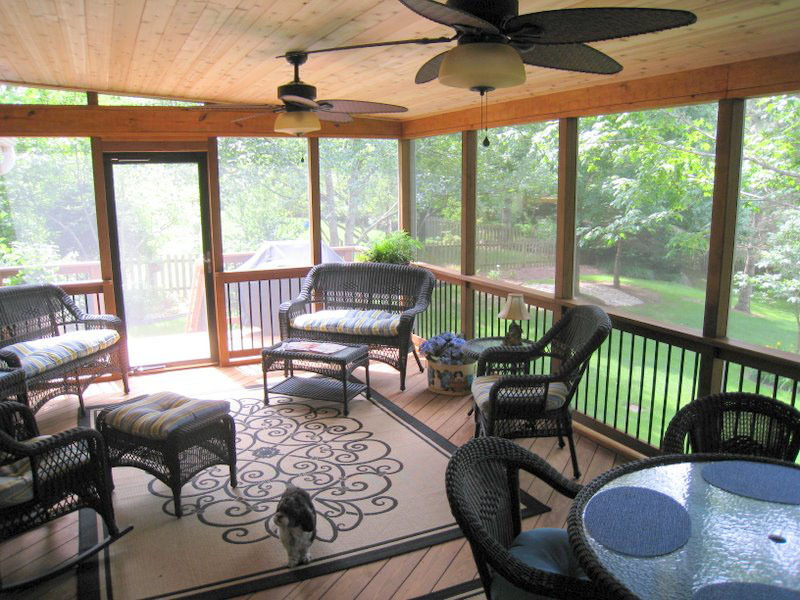 All of these factors come into play when we design the size, shape, and proportions of your new porch. 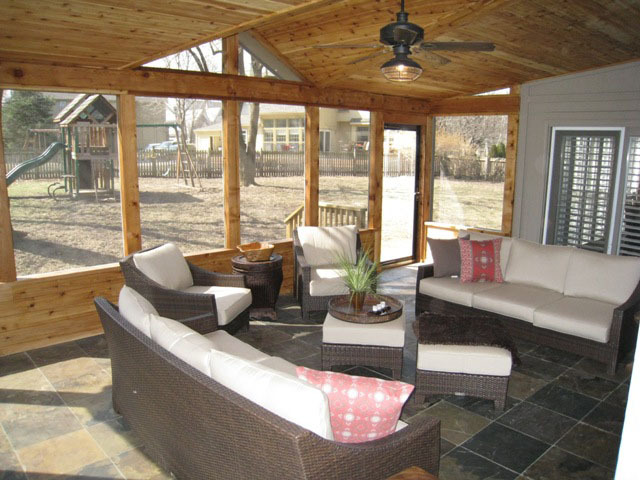 The aesthetic choices including the color, texture and materials will be a determining factor on whether the new porch looks like it was built with your house. This is especially true on the outside but also on the inside. Some of these factors include the trim materials, the types of paint/stain, and the look of trim compared to type of trim used on house. 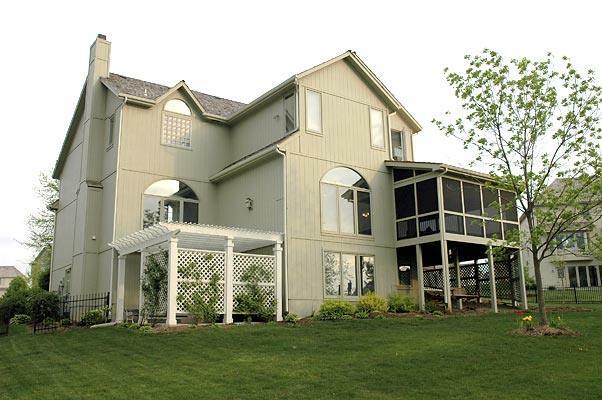 In certain yards, there is a distinct reason to put steps in one area vs. another. These reasons may include the proportion, size, or shape of steps. 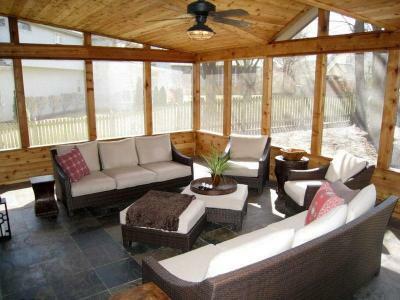 Other factors to how the porch steps transition to the yard include the angle of the steps and the connection to any primary destination in yard if there is one. 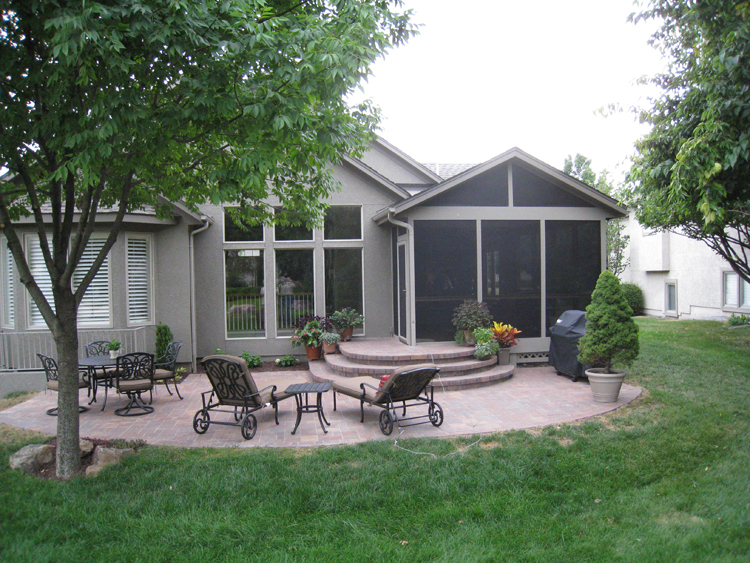 Landscaping has a big impact on how things look when they’re finished. 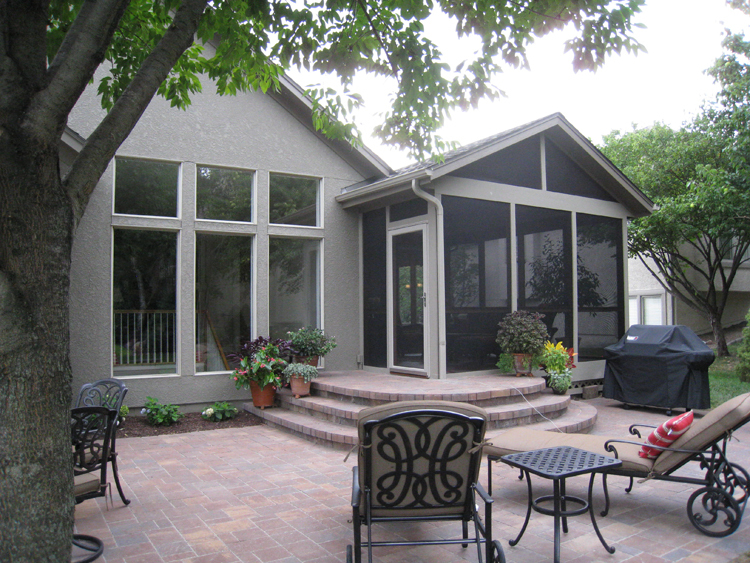 Adding landscaping around the porch that is complimentary to the existing landscape design will help in making the new porch look like part of the existing house. As you can see, there really is no way for one solution to fit all situations. 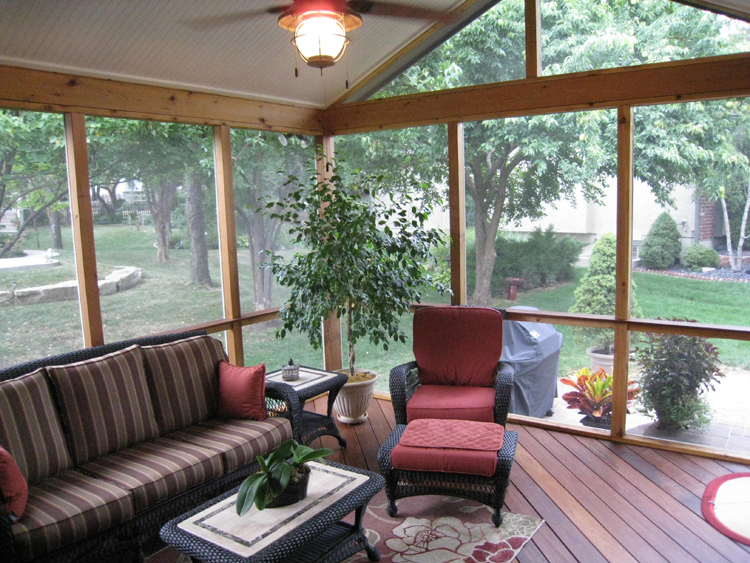 Every home is different and every homeowners has different wants and needs for their new porch. That’s why it’s important to work with a design and build company that listens to what you are looking for and designs a room to fit all of your needs including aesthetic, lifestyle, and more. 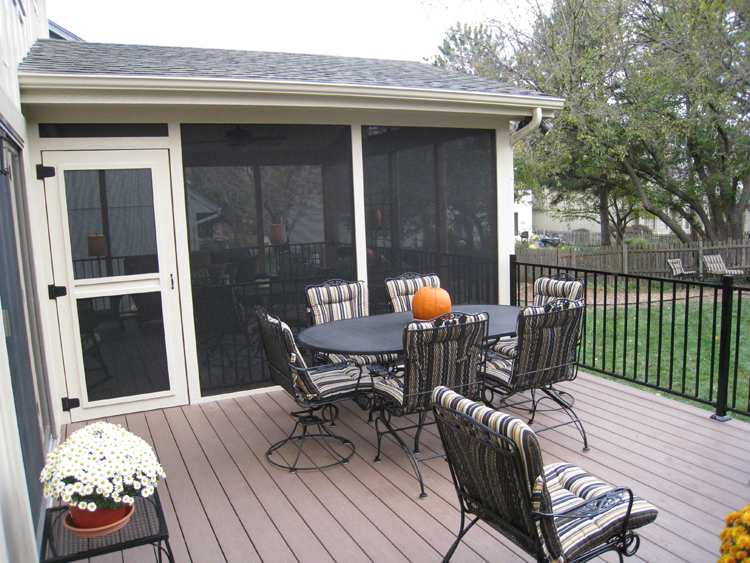 If you are considering adding a porch to your home, give us a call at (913) 851 – 3325 or send us an email at kansascity@archadeck.net. We look forward to hearing from you. This entry was posted in Choosing a contractor, porches, Sunrooms and tagged Archadeck of Kansas City, Kansas City porch builder, Kansas City screened porches, screen porch Kansas City on August 20, 2012 by archadeckkansascity.